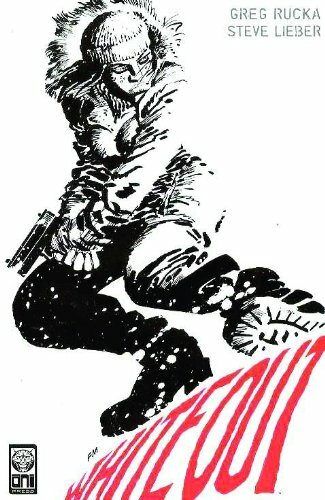 Home » Films » Filming undeway for film version of Greg Rucka’s Whiteout. Filming undeway for film version of Greg Rucka’s Whiteout. The film version of Greg Rucka’s Whiteout is currently filming in Canada. Kate Beckinsale (Underworld, Pearl Harbor) is starring as U.S. Marshall Carrie Stetko. Stetko has been sent to Antarctica to solve the continent’s first murder. The six months of sun are coming to an end and Carrie has little time to catch the killer before the sun sets and she is stuck there, with the killer, for the six months of darkness. Gabriel Macht (The Good Shepherd, Because I Said So) is playing a UN operative that is also on the case. Also staring are Tom Skerritt (River Runs Through It, Alien, Top Gun) and Columbus Short (Darius from NBC’s Studio 60 on the Sunset Strip). The director is Dominic Sena (Kalifornia, Swordfish, Gone in Sixty Seconds). The script is from Erich and Jon Hoeber. They are not too well known right now, but recently wrote the script for the creepy sequel to Alice In Wonderland titled Alice. Alice stars Sarah Michelle Geller (Buffy The Vampire Slayer, The Grudge) as a grown up, and quite troubled, Alice that returns to Wonderland. Just picked up a copy. Looks great. A number of people in my office have been to Antarctica and they said the graphics are very accurate.